12 such heroes answered Christ's call to serve, to follow, to leave all that they had and loved behind, and enrol in a lifelong and life changing Leadership training course...Christ's ultimate boot camp! Throughout their service and collective ministry and mission they would be tested, tempted, threatened and in the case of most of them...Executed! Ultimately because of their commitment and training; and the guidance, strength and example of Christ they would become an unstoppable force that built the Church and shaped our lives and worship today...with one notable exception they would become a team of true heroes. 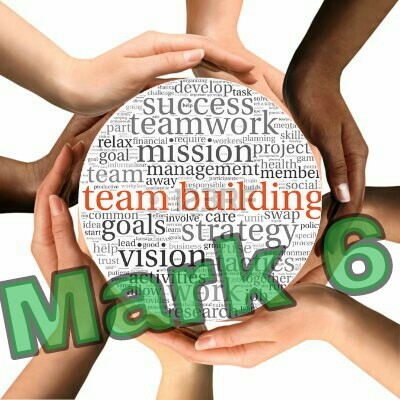 Mark 6 is a great example of Jesus' Leadership and team building style...this was not the distant and unapproachable 'boss' barking orders, or the micro managing, over the shoulder nit picker, or even the kind but ineffectual 'friend to all' telling the Apostles what they wanted to hear. Here was a true leader, with real authority, who saw value and potential in those He led. He was of course not afraid of getting His hands dirty... Of being a powerful and active force, serving, healing and teaching and doing all the wonderful, amazing and miraculous things He did. But Christ knew the benefits and necessity of building His team, training, guiding and preparing them to continue the work He began, to remain faithful, strong and effective after His earthly ministry was completed. The beginning of Mark 6, we see Jesus gathering His Apostles around Him and putting them to work...clear instructions and guidance, but it was clear that this was their mission, their chance to fly the nest and show what they were made of. They may not have succeeded in the challenge Jesus set them to feed the 5000 but they did get to learn some great lessons about compassion, teaching and service...so maybe not a great victory for them but still solid training and teaching... They were still far from complete and very much works in progress. And there is certainly value for the Apostles and us in this kind of training and teaching. "Immediately Jesus made His disciples get into the boat and go on ahead of Him to Bethsaida, while He dismissed the crowd. 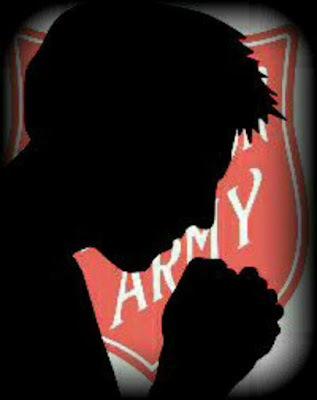 After leaving them, He went up on a mountainside to pray. Later that night, the boat was in the middle of the lake, and He was alone on land. He saw the disciples straining at the oars, because the wind was against them. Shortly before dawn He went out to them, walking on the lake. He was about to pass by them, but when they saw him walking on the lake, they thought he was a ghost. They cried out, because they all saw Him and were terrified. Immediately He spoke to them and said, “Take courage! It is I. Don’t be afraid.” Then He climbed into the boat with them, and the wind died down. They were completely amazed,"
The thing that jumped out at me while reading this passage recently during a leadership training course was Jesus' insistence on the Disciples getting into the boat alone, while He watched on...perhaps the Apostles needed a crisis like the storm, to learn to work together, to become the team that they would need to be, to succeed in the days, weeks, months and years ahead...Jesus knew the benefits of experience and of trial by fire. If you've seen the first Avengers movie you'll remember that all the heroes needed a reason and focus to put aside squabbles and arguments to work together... In that film it was the death of a mutual friend that inspired them to be what the world needed them to be...exactly what was on the horizon for the Apostles. But of course they were never really alone...Jesus stood watching, waiting to see how they worked together, what they'd learnt about teamwork and faith...when He was needed He was there...they didn't have to go to where He was, He met them right where they were and right where they needed them. Developing ourselves and developing future leaders is vital for the future and success of the Church. Discipleship, learning and development must be a priority. I recently posted about growing future leaders, based on my experience on a training weekend. "To be led more by Jesus, to lead more like Jesus, to lead more to Jesus." For those using social media please follow on Twitter and like/share on Facebook.